The American Kodály Children's Chorus is dedicated to offering all boys and girls, ages 5 - 18, in the greater Baltimore area access to high-quality music training in a nurturing environment. Cantus Choir $1,000 Tuesdays, 5:00-6:30 p.m. Lyric Choir $1,100 Tuesdays, 5:00-7:00 p.m.
Concert Choir $1,200 Tuesdays, 6:30-8:30 p.m.
All classes meet from September 11, 2018 through May 14, 2019. **Please note: Class placement must be determined by Dr. Shirk during an interview. To schedule an interview, please email alyson.akcc@brynmawrschool.org. There will be an enrollment fee of $100 to confirm your registration. If you register by July 31st, there will be a $50 early registration discount applied toward your enrollment fee. (NOTE: your registration is not valid until the payment is received). A full refund, less the enrollment fee, will be granted for withdrawals before the first rehearsal is held in September, 2018. Once the first rehearsal has been held, choristers will be considered fully enrolled. The following medical information will be reviewed by and placed on file with the nurses at the Bryn Mawr Health Center. This information is required for your child to attend chorus rehearsals or classes. Note: There will be no nurse on campus during AKCC rehearsals or classes. We (I) do hereby appoint Alyson Shirk, Director of Music at The Bryn Mawr School, or her designee, in the event of urgent or emergency illness or injury, to decide upon and consent to the rendering of any medical treatment, including surgery, which she deems in the best interest of the health and welfare of my/our child. The medical authorization shall be effective during any such period of time that I/we for any reason unable to consent (whether by telephone or in person) to any urgent or emergency medical treatment, including surgery, for my/our child, and during any period of time or upon occasion where my/our child is unable to consent to treatment in his/her behalf, in accordance with Maryland law. This medical authorization shall not be affected by the disability or either or both of us shall be in full force and effect during any such disability. We would like families to know that the school or chorus may, from time to time, take photographs of choristers for use in Bryn Mawr publications or in school media (i.e. the school website). If you do not wish your child’s photograph to be used, you must submit your request, in writing, to the Program Coordinator via email (scott.akcc@brynmawrschool.org). *Note: The Bryn Mawr School cannot control photography or film taken by the general media. Family Orientation and First Rehearsal: Tuesday, September 18th, 2018 in the North Building. Fall Semester Rehearsals: Every Tuesday through December 5th, 2018 including Tuesday, November 20th, 2018. Winter Concert Rehearsal: Saturday, December 8th, 2018. 9:00 a.m.– 12:00 p.m.
Winter Concert: Sunday, December 9th, 2018. 1 p.m. call time for students, 3 p.m. concert start time. Spring Semester will begin on Tuesday, January 8th, 2019. Rehearsals will be held each Tuesday (except March 19th, due to Spring Break) through May 14th, 2018. Spring Concert Rehearsal: Saturday, May 18th, 2019. 9:00 a.m. – 12:00 p.m.
Spring Concert: Sunday, May 19th, 2019. 1 p.m. call time for students, 3 p.m. concert start time. Find a more detailed schedule in the newsletter. 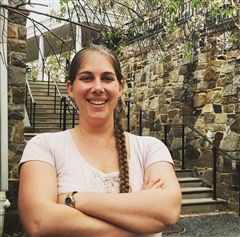 Dr. Alyson Shirk serves as Director of Music for the Bryn Mawr School. Earning her doctorate in vocal performance from Shenandoah Conservatory in 2009, Alyson was awarded the Dean’s Graduate Scholar Award for excellence in scholarship for her dissertation “Mad Women in Opera: An Investigation of Madness and Selected Mad Scenes for Soprano." 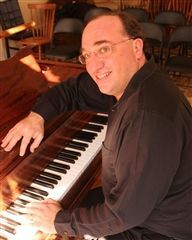 Daniel Weiser, piano, has a Doctorate in Piano/Chamber Music from the Peabody Conservatory, where he studied with Samuel Sanders and Robert MacDonald and won the Richard Franko Goldman prize for outstanding contribution to musical and education life. Jim Javorsky teaches music to students grades K-5 at Red Pump Elementary School in Harford County. 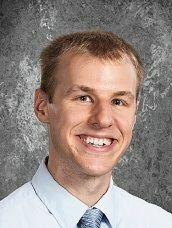 Along with general music classes, he works with four vocal ensembles, including a small auditioned ensemble and a boys chorus. Rachel Kershner earned her bachelor's degree in Music Education with a vocal concentration from Towson University in 2012. 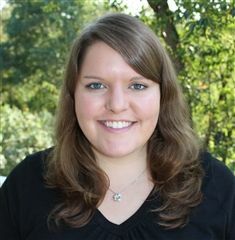 Suzannah Norris received her BA from Eastern University following a vocal performance track in 2004 and Masters of Music Education with Kodály Emphasis from Loyola University in 2010.